An unusual road trip beginning in the Netherlands takes a series of unexpected turns through Germany and Eastern Europe. A successful artist loses control of his life after his young daughter's death. A chance for a new start appears, but all is not what it seems. In the 16th century in the Cévennes, a horse dealer by the name of Michael Kohlhaas leads a happy family life. When a lord treats him unjustly, he raises an army and puts the country to fire and sword in order to have his rights restored. Two outcast brothers, through getting to know their unknown family, discover a horrible truth about themselves and their relatives. 2 Danish friends are tired of their employer and open their own butcher shop. An electrician accidentally dies in the freezer and he's sold as marinated chicken and business picks up. What happens when they run out of "chicken"? This movie is in one word great. The movie is set in a great atmosphere, and the two main characters acting is superb. It gives most people a chance to relate to one or the other sides of the troubles haunting their relationship. Several times along the movie i had a lump in my throat, and felt in contact with the main character. No scenes seem to be out of place, and the movie is by no means dragged to long. As mentioned, i could easily see elements of myself in the male character - and my girlfriend could relate to the actions - and reactions - of the female character. I have rarely left a movie-theater actually "moved" by a movie (often contemplating though), but this movie did it for me, leaving me thinking about my own relationship. 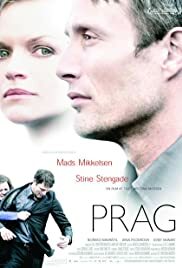 I would recommend this movie if you are looking for a good emotional movie - especially for couples - where my guess is that both of you will enjoy it. 22 of 27 people found this review helpful. Was this review helpful to you?